Traditionally, enterprise architecture is viewed as an approach, but a number of technology solutions have emerged to facilitate the analysis, design, and implementation of business technologies or strategies. Administrators are given tools to organize a business’ operations, processes, and standards to visualize and understand the company’s structure. They support high-level project portfolio management to plan the businesses structure, processes, and asset utilization. They also assist in IT portfolio, risk, requirements, project, and business process management. There is a strong relationship between enterprise architecture solutions and IT portfolio analysis technologies. They differ in the idea that IT portfolio analysis and management is only one component of the entire enterprise architecture. While enterprise architecture tools are designed more for project planning and managing technological execution, policies, and organization, IT portfolio analysis tools are geared solely toward aligning technologies in place. 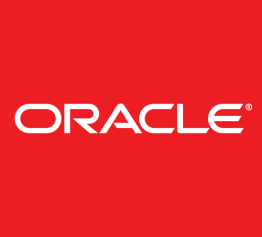 The Oracle Enterprise Architecture Framework helps Oracle to collaboratively work with customers in developing strategic roadmaps and architecture solutions that enable business and IT alignment. 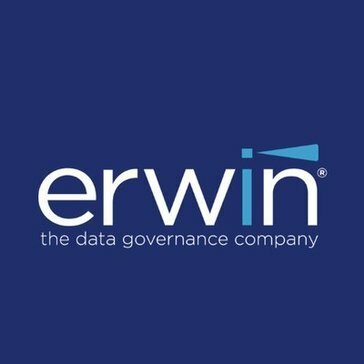 erwin EA takes the guesswork out of business and IT transformation, and tames the inherent complexity of major IT initiatives like application rationalization, migrating to the cloud, and implementing Big Data. ServiceNow Project Portfolio Management gives you full visibility from idea to execution. ADOIT is a fully web-based enterprise architecture suite with powerful time-related business analysis views on your repository. ADOIT is a TOGAF-certified EA suite and allows for role-based access to architecture information. ARCHIREPO is a suitable management tool for creating and sharing knowledge about the system of managing an organization and its key assets (so called governance system or management framework). It includes administration of business and Information Technology architecture of an institution or enterprise. 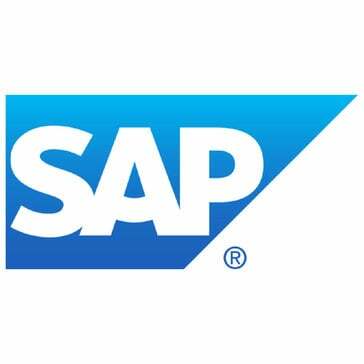 Create, analyze, manage and administer whole enterprise model, from strategy of business processes to information architecture, application landscapes and services. Enables the documentation of an enterprise architecture to analyze and harmonize IT environments. An extension pack for ARIS Architect & Designer. Castera is a business architecture and capability mapping software that is easy to use, cloud-based and inexpensive tool enables companies to model capabilities, draft value streams and process, draft business motivation and strategy, and capture a veritable treasure of enterprise information to associate with other entities. Business Continuity Maturity Model is a business continuity software that assists in improves businesses abilities to recover from disruptions. The Cameo Enterprise Architecture product, based on the core product MagicDraw, offers the most robust standards compliant DoDAF 2.0, MODAF, NAF 3, NAF 4, and UAF 1.0 via a UAF standardized solution. And what's more, No Magic fully supports all architectural framework products ensuring users achieve project results. No Magic also leads the industry in its integration in systems of systems engineering, ensuring that users achieve net-centric success. Meet interoperability challenges with proven, tested No Magic solutions. EAComposer is a SaaS enterprise architecture tool with a built-in visual modeler and a secure database for storing work, reports, and analyses. ServiceNow Financial Planning helps you create a more streamlined and accurate budget planning process though a centralized budget data repository that gives everyone access to the same system and data. iteraplan is a tool to manage Enterprise architecture with focus on the IT landscape. LeanIX boosts companies growth and enables digital transformation by establishing a SaaS-based information hub for their IT architecture. OpenText ProVision is an end-to-end solution for enterprise and business architecture and business process analysis allowing customers to translate business strategy and operational objectives into successful enterprise change through views that describe enterprise assets and their relationships. QPR EnterpriseArchitect helps with the gain capabilities for analyzing, planning and improving business. QualiWare enables positive change by providing tools, methods and services that ensure coherency, consensus and consistency, and support the agile and innovative company in handling complex knowledge, maintained by multiple persons with different backgrounds, in a continuous process. SAMU can exchange data with all of them continuously in order to provide the most up-to-date architecture landscape for everyone. Information in SAMU is diverse: from business architecture components to applications, information entities, organization and technology and their dependencies. ServiceNow Service Mapping creates and maintains service maps that show the associated mix of IT components and dependencies. UNICOM System Architect is a market-leading enterprise architecture tool that enables to build and automatically generate data-driven views of organization's enterprise architecture -- its strategy, business architecture, operational architecture, data, application landscape, supporting systems, technologies, and infrastructure. Why Use Enterprise Architecture Software? Enterprise architecture (EA) is the process of designing, mapping, implementing, and executing large-scale business strategies. Enterprise architecture tools are software applications designed to help businesses achieve their goals and improve visibility and productivity across the company. These tools empower individuals to collaborate and organize resources and strategies across disparate or siloed departments. IT systems, business resources, staff, and other components of internal organizations are mapped out to identify unnecessary efforts or spending. From there, users will strategize a plan to streamline operations and improve overall efficiency. Some businesses will have designated enterprise architects, but others will simply rely on administrators or project managers to take ownership of enterprise architecture. Enterprise architects would be specialized individuals with experience mapping out departments, resources, and large-scale business strategies. Regardless of whether enterprise architects are the ones using EA solutions, the tools will continue to assist in improving business operations while modernizing a business’ internal enterprise architecture framework. The scope of a business is a large factor for whether enterprise architecture solutions are necessary. Enterprise companies and businesses with individually operating departments are more likely to need enterprise architecture solutions. Smaller businesses are less likely to need a large-scale solution to map isolated departments, resources, or manpower. Companies that are large enough to require these solutions will map out their business structures, information sources, applications, IT assets, and IT infrastructure. This information will be used to build an architecture description that details the current state and the target state. From there, the user will outline the work and time necessary to help the business achieve its goals. Companies hoping to modernize and streamline their existing enterprise business should look to EA solutions. These tools make it significantly easier to enact large-scale changes because every impact is mapped out prior to implementation. It can also help keep businesses on track and set deadlines for specific tasks. In all, these tools enable companies to identify flaws in their business, determine the steps necessary to facilitate change, and ensure that transformative projects remain on schedule. Business Architecture — Companies are always in possession of data related to their business structures, objectives, and capabilities. But many businesses fail to utilize that information to identify potential flaws or inconsistencies within their operations. These tools can help explain to both administrators and users where contributions are made, where roadblocks exist, and where improvements can be implemented. Increased Visibility — Enterprise architecture solutions are helpful for continually displaying each worker’s or department's contribution to the company’s collective goals. Employees can also speak up if they identify pain points within the company’s business processes to further improve operations. Business Transformation — Enterprise architecture solutions are especially useful for companies hoping to adapt their business to the modern day. This could mean abandoning legacy systems, restructuring their IT operations, or simplifying complex IT systems. Enterprise architecture software is also helpful in developing entirely new systems and demonstrating to users what impacts will arise as a result of new technology adoption. Timelines — Timelines help users with long-term planning for projects, strategies, and tasks. These features also help users identify various phases and track progress at different stages. Roadmaps — Roadmapping features allow users to visually display strategies along with the various relevant resources, departments, and assets. They can also assist with progress tracking and standards monitoring throughout project implementation. Analytics — Analytics features will provide users with tools to analyze productivity, resource usage, and standards enforcement. This information can be useful in future planning and help teams better strategize for related tasks and projects. Collaboration — The ability for teams to collaborate on projects and other tasks within the platform. Asset Management — Tools to organize and manage all resources and assets within an organization. Budget Hierarchies — Define budget structure elements and how they are linked hierarchically. Reporting — Administrators can define and manage the reporting structure and access rights to each report. Standards — Design and develop standards for modelling business systems. Strategy and Innovation Roadmapping Tools — Enterprise architecture software is used for strategic innovation and roadmapping but covers a lot more ground. Roadmapping tools may be useful in further outlining implementation strategies but typically do not provide the same cross-department collaboration, modeling, and analytics capabilities. IT Portfolio Analysis Software — IT portfolio analysis software is similar to EA software, in that it helps map out resources and identify areas of improvement. But IT portfolio analysis solutions only cover a portion of EA’s overall business modelling capabilities. IT is important and typically included in EA, but it is not the entire focus of these solutions. Project and Portfolio Management Software (PPM) — PPM software is useful in tracking projects and roadmapping changes to businesses. They are a nice complement to EA solutions for maintaining project timelines but typically do not provide the same capabilities for managing an entire business’s resources and processes. Hi there! Can I help you find the best Enterprise Architecture solutions?